The Savannah Tribune, a pioneer among weekly newspapers, is one of the oldest African-American-owned and operated publications in America. Originally founded in 1875 as The Colored Tribune by Louis B. Toomer, Sr., Louis M. Pleasant and Managing Editor, John H. DeVeaux, The Savannah Tribune was in continuous publication until 1960 under subsequent owners, Sol C. Johnson followed by Wila Ayers Johnson. This Savannah icon was revived in 1973 by Robert E. James, husband of the current publisher, Shirley Barber James. 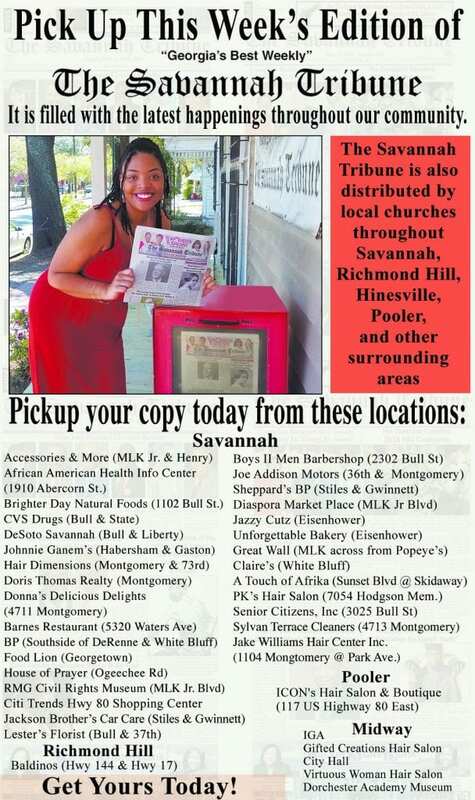 True to its legacy, The Savannah Tribune, through quality news coverage and state-of-the-art production, continues to serve as the medium of communication and instruction, as well as the journal which primarily chronicles the contemporary and historical life and activities of African-Americans in Savannah, Coastal Georgia and throughout the United States. 1805 Martin Luther King, Jr. Blvd. 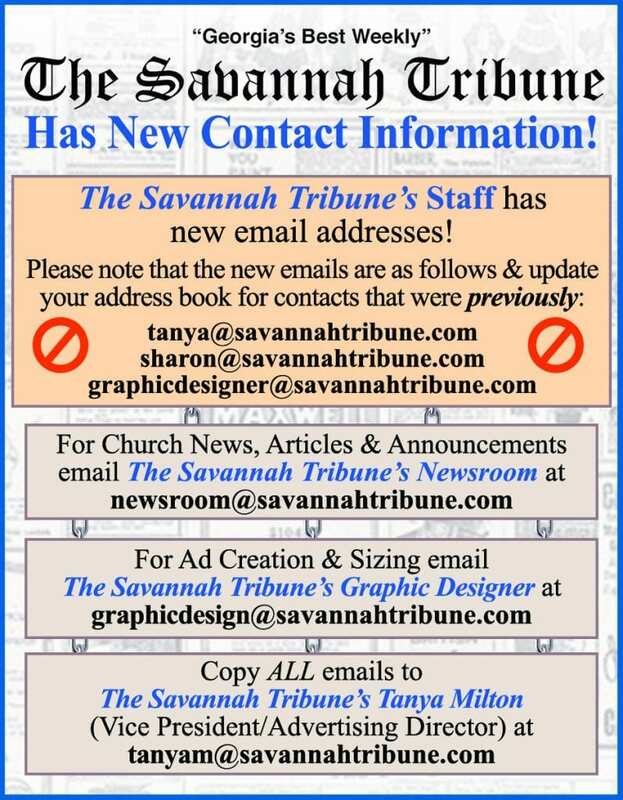 Published weekly by The Savannah Tribune, Inc. The opinions expressed in this publication are not necessarily those of the publisher. All rights are reserved. No part of this work may be reproduced or copied in any form or by any means, graphic, electronic or mechanical including photography, without written permission of the publisher.